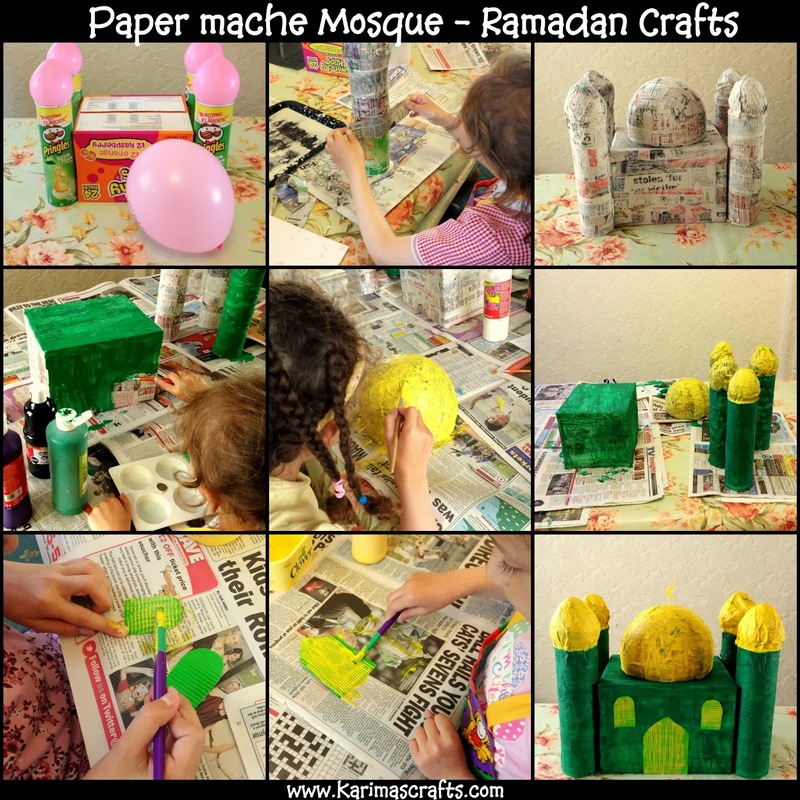 My children had great fun making and designing this Paper Mache Mosque! It took a few days to complete, waiting for Paper Mache and paint to dry but it was worth it! I hope you like the tutorial. I large box for the mosque building. Glue for the paper mache (Use either wallpaper paint or make your own). We made our own using flour and water. Many online recipes available! Card/Paper to design the doors, windows and for the Moon to place on top of the dome. Collect all the supplies that you need and arrange the pieces to make sure that they will look good, if not cut to adjust to the right size. Blow up the balloons - make sure you blow them to the size that will fit into the cylinder tubes and that the size of the large balloon is in proportion to the box size it is to be placed on top of. Make or prepare the paper mache glue and cut up strips of paper (we used newspapers but they were still noticeable through the paint so would preferably have used plain thin paper!). Place the paper into the glue and then place them all over the 6 pieces. This would be the four Mosque Minarets, the box Mosque Building and the large balloon (make sure you cover at least half of the balloon as you only need the balloon part that makes a dome shape. Once you have completely covered all 6 pieces you then need to leave them overnight to dry fully. Once dry you can then start painting the Mosque pieces your preferred colour (we chose green and yellow). Also cut out some door and window shapes and paint them too! Burst the large balloon and cut around the paper mache to make the dome shape to fit onto the Mosque. We placed some stuffing into the dome to stop it from collapsing when we were painting it..
Leave the paint to dry - You may need to add another coat of paint (we had to do this but maybe it was due to the fact we used cheap paints!). Once all pieces are finished you can then glue the pieces together or just leave them next to each other! As mentioned above we used newspapers but that meant a few coats of paint to cover the newspaper print. Next time I would rather use the thin roll of craft paper we had! You can design this as detailed as you wish. Our Mosque was painted very basic but it does the job! Making your own paper mache paint: we used flour mixed with water until it became a paste texture. Impressive! I have a message come have a look Ramadhan Kareem! Very nice! My kids enjoy doing Islamically inspired crafts. Thanks for sharing. Thanks for sharing. My kids love Islamically inspired crafts. 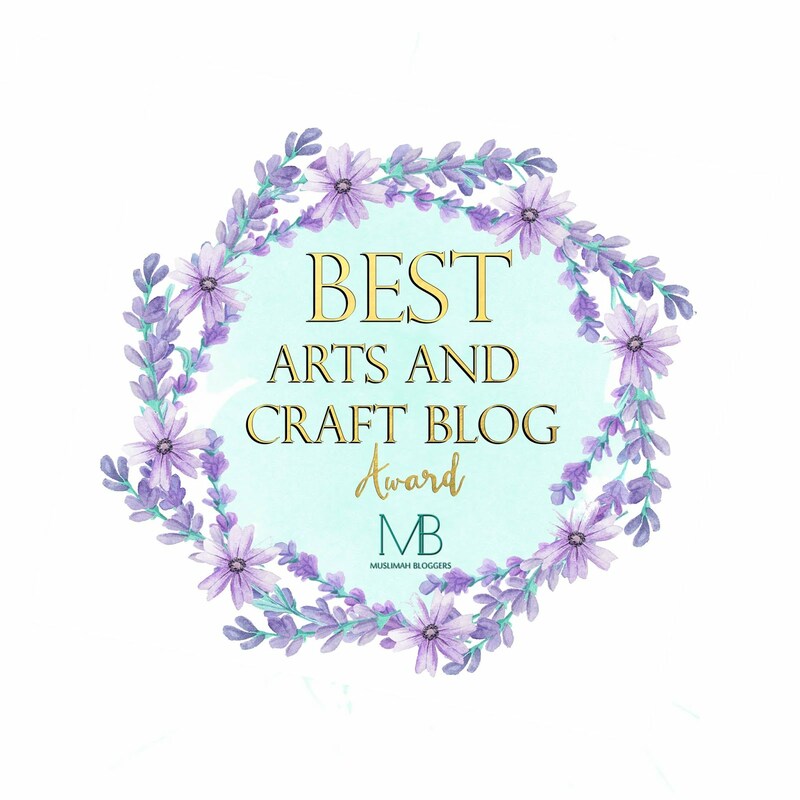 This project was a big task - and took up a lot of my time! Sorry I never got to respond to everybody's comments - I really do appreciate them all! I hope everybody is having a great Ramadan. I just learn as I go! Thank you this has helped so much for my school project!! IT HELPED FOR MY SCHOOL PROJECT TOO. THANKS!!!!!!!!!!!!!!!!!!!!!!!!!!!!!!!!!!!!!!!!!!!!!!!!!!!!!!!!!!!!!!!!!!!!!!!!!!!!!!!!!!!!!!!!!!!!!!!!!!!!!!!!!!!!!!!!!!!!!!!!!!!!!!!!!!!!!!!!!!!!!!!!!!!!!!!!!!! !